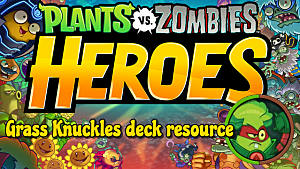 There are currently 10 Plant heroes available in Plants vs. Zombies Heroes and Spudow is one of the first options you get. 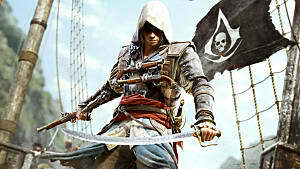 Though he is one of the least popular heroes, his arsenal is nothing to scoff at. 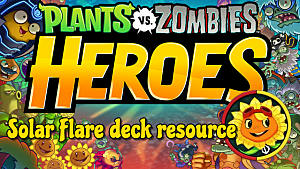 Spudow is compatible with both Guardian and Kabloom cards. This gives him a very functional combination of offense and defense, but not a particularly flexible playstyle. Like Wall-Knight, Spudow can built competent Nut-oriented teams but lacks the Sun accumulation of the former. 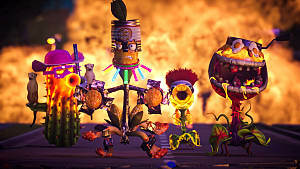 Instead Spudow is more of a mix of offense and defense, packing a healthy dose of defensive Nuts, Anti-Hero cards, and damaging Tricks between Guardian and Kaboom. 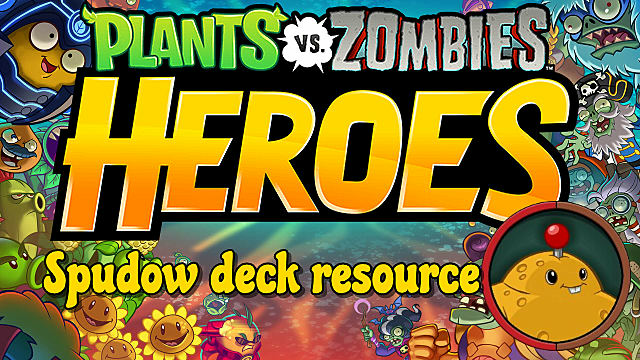 A good deck using this hero should make use of the amount of Team-Up Nut cards in the Guardian tribe to protect the more offense-oriented Kabloom tribe cards. 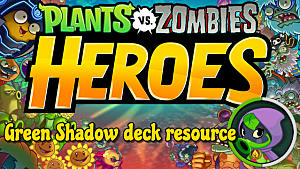 Finding a workable mix of the two will be your biggest hurdle in making a good Spudow deck. Spudow's decks will always have Nuts as their bread and butter. 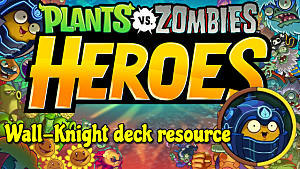 A good deck will feature either Nuts and Mushrooms or Nuts and Berries, making good use of those defensive Nuts. Spawn a 1 Health Hot Potato that deals 6 damage to a Zombie in its lane when destroyed. Spineapple gives Plants with no Strength +2 when played. Play Hibernating Beary first, then Spineapple to give the Beary a head start. Then Sergeant Strongberry and have a good laugh at the Beary's amazing growing damage. Tough Beets - A great lategame card, especially with Spudow and his array of cards with Team-Up. Play him only when every other lane is stacked for the best results. Poison Mushroom - A very cheap (1 Sun) cost card with Anti-Hero 2. If played at the right time this little guy is an affordable 3 damage to the Zombie Hero. Guacodile - It may not have the synergy some of your other cards have, but its stats are solid for a 4 Sun card and the fact it does 4 damage to a Zombie in the lane its in when it dies can be a huge boon against especially powerful zombies. Poison Ivy - This Plant may not mesh well with your deck's overall synergy but if you want a real hero-slicer at a low cost, this isn't a bad option. Poison Oak - Like the Poison Ivy but better. Solar Flare is able to use Poison Oak more effectively since she is able to gain more Sun per turn, but this is still a powerful lategame card for Spudow. 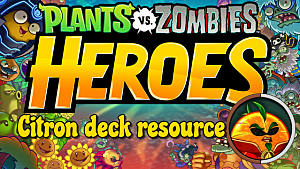 Dandy Lion King - It takes away half the Zombie Hero's health. If you have it, you should be using it. Grapes of Wrath - Much like Guacodile above but with a more direct punch, Grapes of Wrath will make the Zombie Hero wish it didn't take it out. 6 damage to the Zombie Hero on its destruction is no joke. Kernel Corn - This card's 5 Strength and 5 Health for 8 Sun may not seem like anything special, but the fact it does 4 damage to each Zombie when played can be a potent full-board clearing method. Not a must-play if you have it unless you're lacking endgame offense. 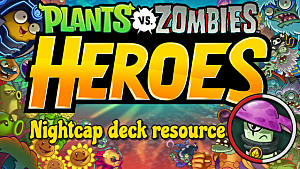 Below are all the Guardian and Kabloom cards currently available in Plants vs. Zombies Heroes that you can use with Spudow. There are separate tables for Plants and Tricks. 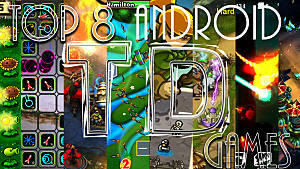 And that's about all there is to say about the tricky Spudow's card arsenal! Hopefully this guide helps you on your way to building a more effective team for him and climbing the ranks with it.